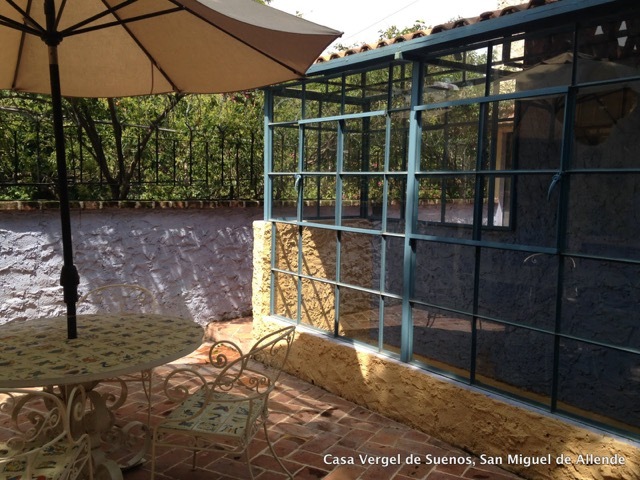 A traditional country-style house in San Miguel perfect for you and your group. 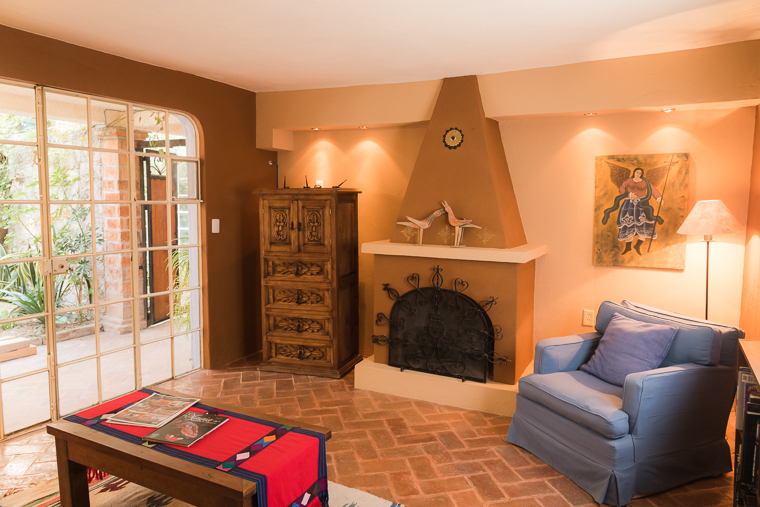 Casa Contenta is a spacious seven bedroom, seven and a half bathroom home, tastefully decorated in Mexican style. 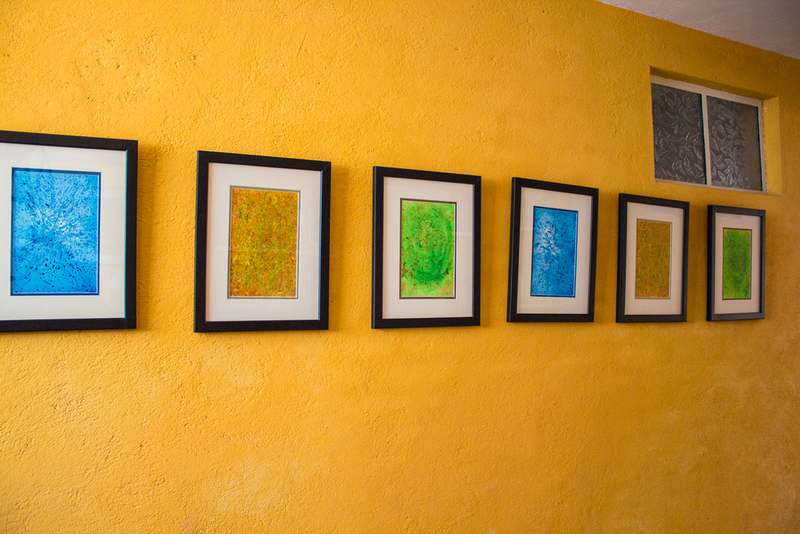 It can accommodate up to 15 guests, which makes it perfect for groups, family reunions and traveling workshops. 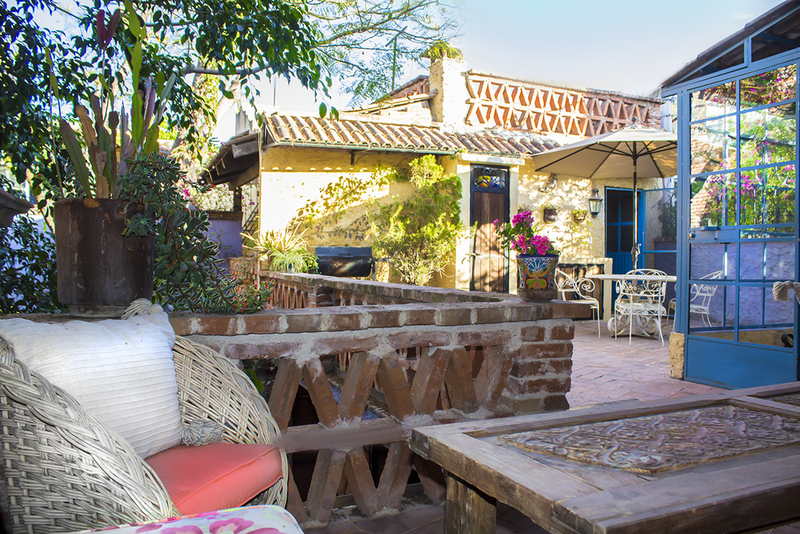 Our full house guests have access to two fully equipped kitchens, two living rooms, several patios, and outdoor sitting areas with garden and rooftop views. 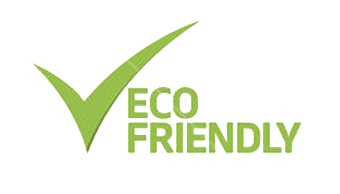 All rooms have television, wi-fi and state of the art purified water available. A sunlit project room with a half-bathroom on the third floor is ideal for all kinds of activities. Ample street parking is available. Want to learn more about workshops and turnkey workshop packages? Click Here! 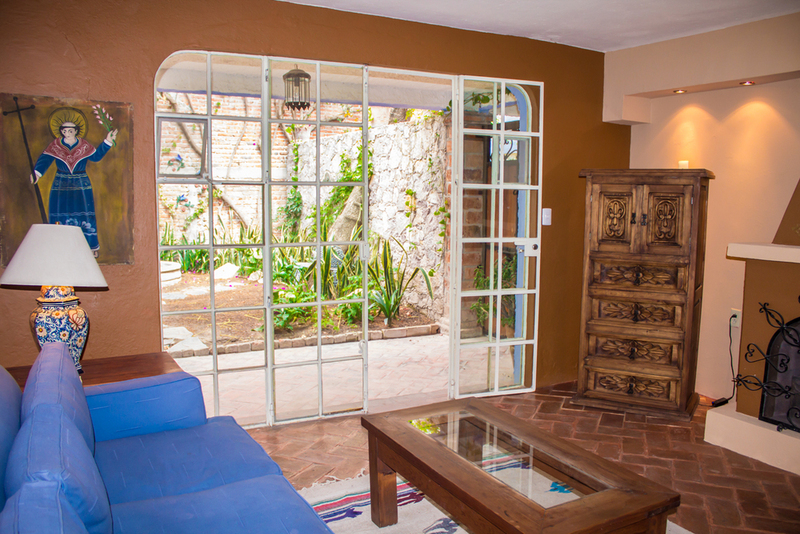 Located on a quiet, beautiful and romantic street in Colonia San Antonio, Casa Contenta caters to travelers who appreciate easy comfort, great value and stylish surroundings. It's not a hotel or a typical Bed and Breakfast (we like to call it a Bed & Kitchen) but there is an option to have breakfast included for large groups. Although we give preference to whole-house rentals, we offer individual rooms and clusters of rooms to smaller groups for short term stays. We can help you find the perfect arrangement for your party size. La Rosa Bedroom and private bath are located on the ground level close to the entry. It has a window facing Vergel street and a wall of windows facing a small garden, ample closet, TV and wifi. Two twin beds may be set up as a king size bed. 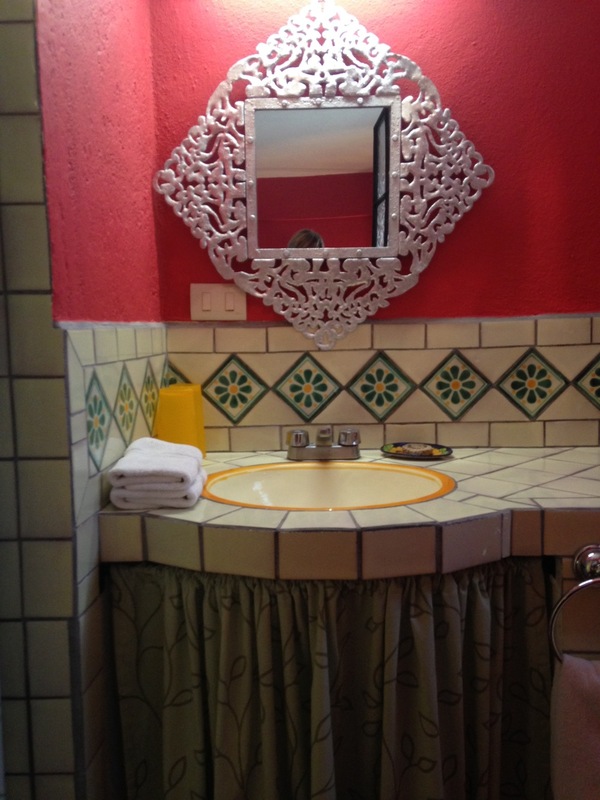 It has hand-painted Talavera tiles in the bathroom, and original art by Ruben Morales. Girasol is a ground level bedroom suite. 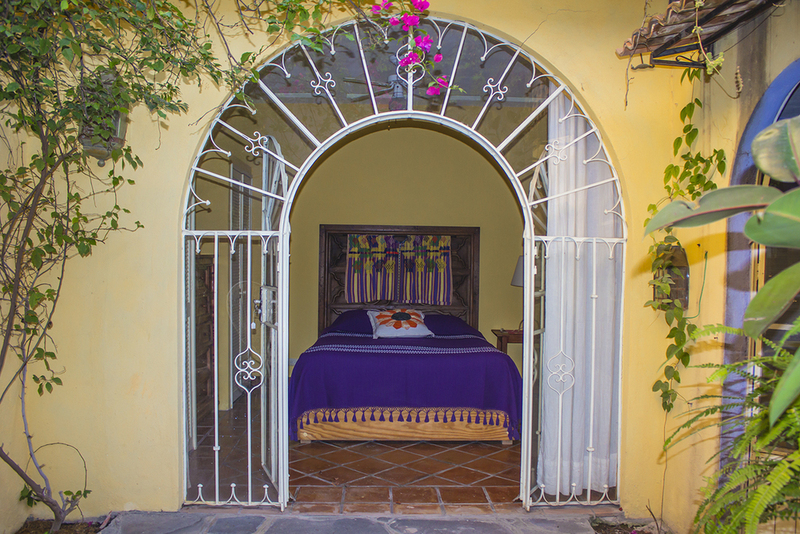 It features a queen bed with a view of its private patio with a fountain, TV and wifi. 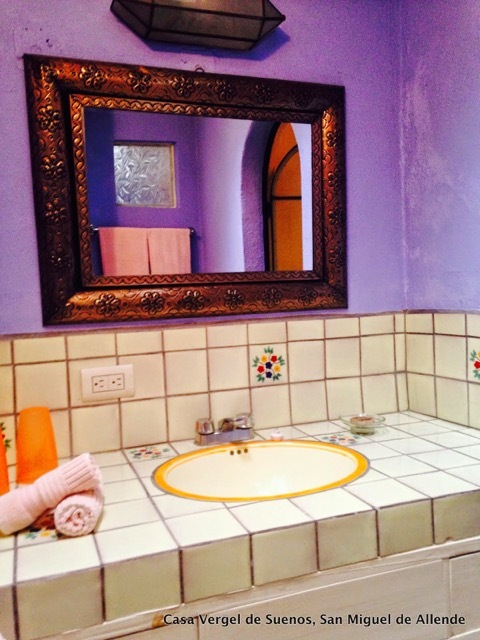 Its' cozy, private bathroom has a shower over the tub, and hand-painted tiles. The separate entry room has a table, two chairs, coffee maker, microwave and sink and desk area. Guests of this room also have access to the common kitchen, terraces and dining room. Bugambilia is located on the second floor with entry through a downstairs common dining room. At the top of the stairs there is a sitting room with a daybed for a third guest. The Bugambilia accommodates 2 guests. It has 2 twin bed which can be made into a king-size bed. 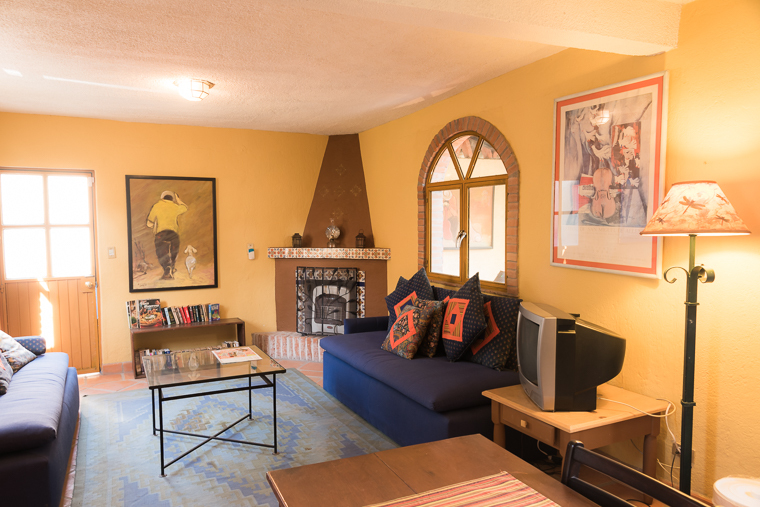 Its private bath has hand painted tiles and a view into the gardens, TV and wifi. This room may be rented with the Tulipan room for a larger group (up to 5) with a connecting entrance through the sitting area. The Margarita room is a light-filled second floor bedroom with a private bath. Two twin beds may be made into a king size bed upon request. Doors open onto a shared terrace across from a community kitchen and living room; large sliding glass doors overlook the garden and majestic jacaranda tree. There is a dresser, chair and a hanging area for clothing, flat screen TV and wifi. This room has easy access to terraces, the kitchen and the living room shared by all guests. 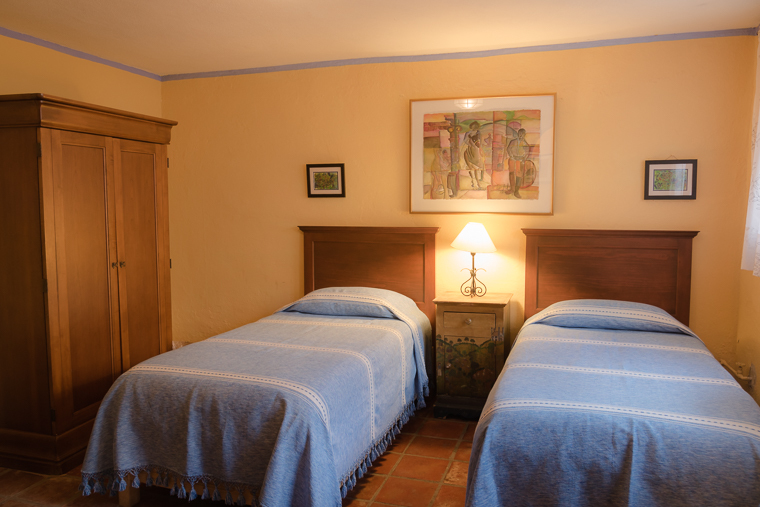 Tulipan is a second level bedroom with two twin beds that can be made into a king size bed. It has a private bathroom. The entry is from a large shared terrace area. The room has a closet, dresser, chair, and colorful accommodations, TV and wifi. The bathroom has hand-painted tiles. This room can also be made into a suite when rented in conjunction with Bugambilia Room for groups of 4 to 5 people. 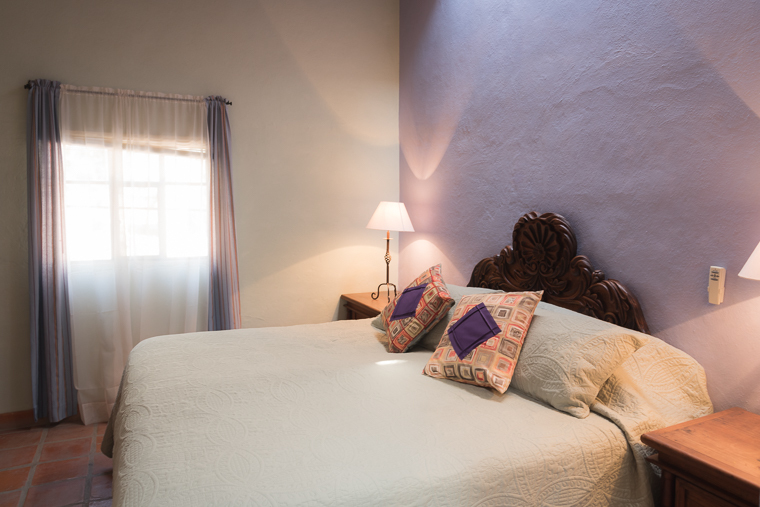 Violeta is a second floor bedroom with a private bath. Two twin beds can be made into a king size bed. Two chairs, an antique dresser and a closet, TV and wifi complete this room. The entry door faces the common terrace, and the window view faces onto Vergel street with abundant bougainvillea blossoms. This room has access to a kitchen, living room area and terraces that may be shared by all guests.